ER export at 3' end of gene. Trafficking signal (TS) in between gene and fluorophore. 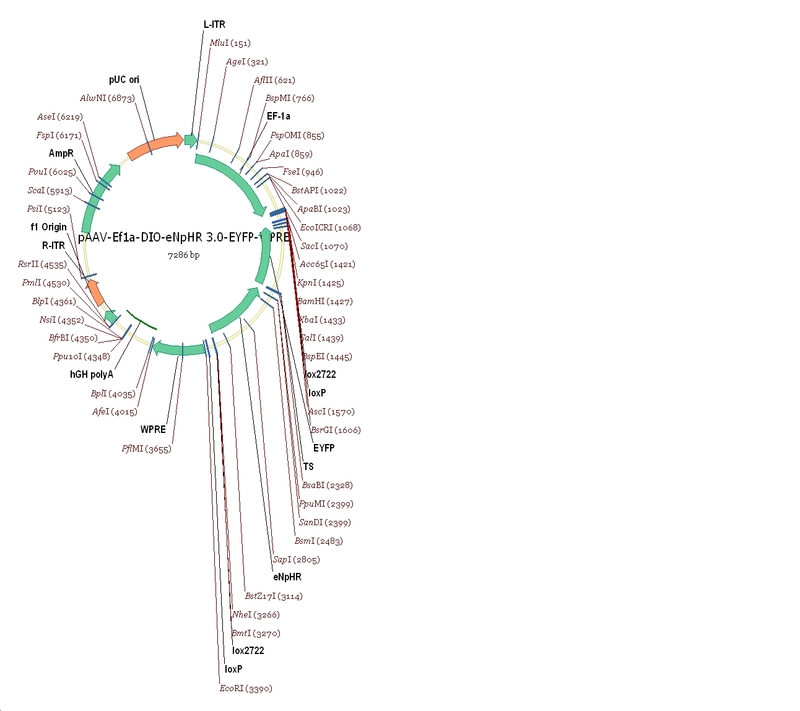 This plasmid contains the human elongation factor-1a promoter. 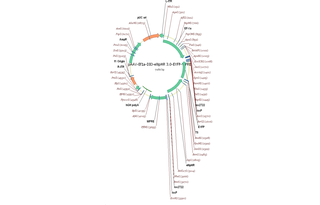 Golgi export trafficking signal (TS) sequence is KSRITSEGEYIPLDQIDINV. ER export sequence is FCYENEV. Ready-to-use AAV1 particles produced from pAAV-Ef1a-DIO eNpHR 3.0-EYFP (#26966). In addition to the viral particles, you will also receive purified pAAV-Ef1a-DIO eNpHR 3.0-EYFP plasmid DNA. EF1a-driven, cre-dependent eNpHR 3.0-EYFP for optogenetic inhibition. These AAV preparations are suitable purity for injection into animals. Ready-to-use AAV5 particles produced from pAAV-Ef1a-DIO eNpHR 3.0-EYFP (#26966). In addition to the viral particles, you will also receive purified pAAV-Ef1a-DIO eNpHR 3.0-EYFP plasmid DNA. Ready-to-use AAV9 particles produced from pAAV-Ef1a-DIO eNpHR 3.0-EYFP (#26966). 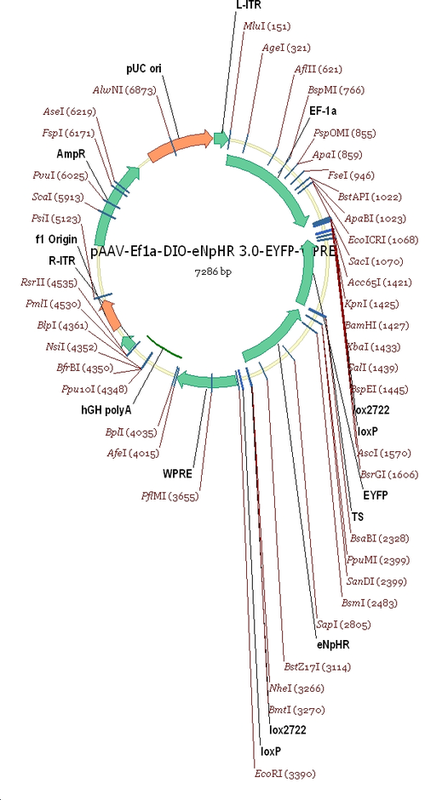 In addition to the viral particles, you will also receive purified pAAV-Ef1a-DIO eNpHR 3.0-EYFP plasmid DNA.